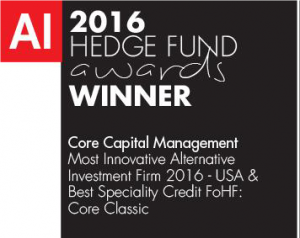 Core Capital Management was selected by Wealth & Finance International, as part of their 2016 AI Awards, as Most Innovative Alternative Investment Firm & Best Specialty Credit FoHF – Core Classic. This award recognizes Core’s steadfast commitment to innovation, thought leadership, and both applied and financial research. 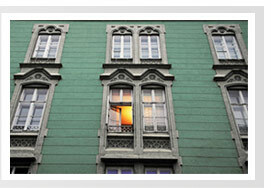 Read the print version of the award announcement here.